This cross is the result of the careful selection of Great White Shark and Snow White (the original genotype of La Blanca), which in Kannabia’s opinion matched most closely the selection parameters. The GWS is well known for its high THC and CBD levels, together with its medicinal properties as appetite enhancer and peripheral muscle relaxant. 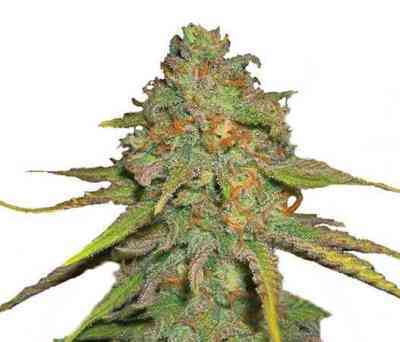 Its Skunk #1 heritage adds sweetness to its penetrating smell from the end of the growing period and the beginning of flowering. To stabilize this plant, Kannabia’s team crossed it once again with the predominantly indica Black Domina. This cross gives it a shorter flowering time — eight weeks indoors and by mid-September outdoors. 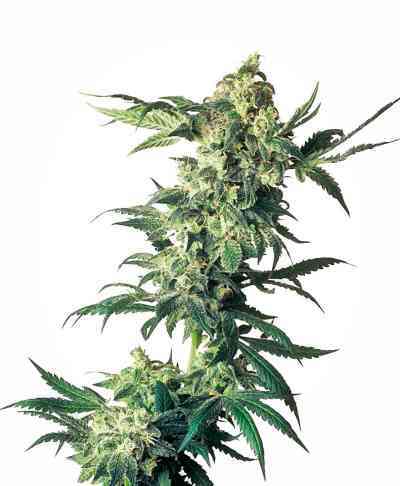 The yield is fairly high for a hybrid with sativa touches (such as the structure): around 500 grams per square metre. With a height of 70-85 cm indoors you can obtain an abundant harvest. These plants may reach up to 2.5 m when grown outdoors.